JThink will be at the Sound and Vision show in Bristol, UK this weekend. 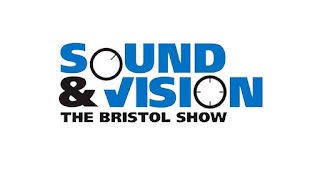 This weekend I will be at the Sound and Vision - Bristol show, if you would like to come and have a chat about music metadata, or just a chat please come and find me. I should be at the Melco stand on the ground floor where I will be demonstrating SongKong and Jaikoz and how they can work very well with MinimServer and the Melco N1. 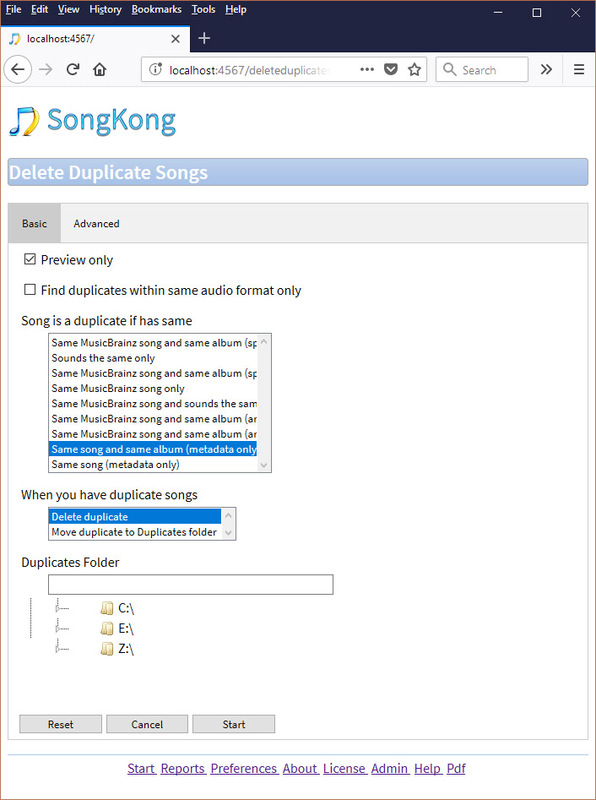 On Wednesday this week we released SongKong 5.0, adding the new Remote mode however in doing that we introduced a regression to Desktop mode ! Substantial refactoring was done in the 5.0 release so that Remote and Desktop modes could share user option code but we broke the the selection boxes in Desktop mode so that it wasn't always showing the option actually selected by the user, instead just showing the first item in the selection box as selected. 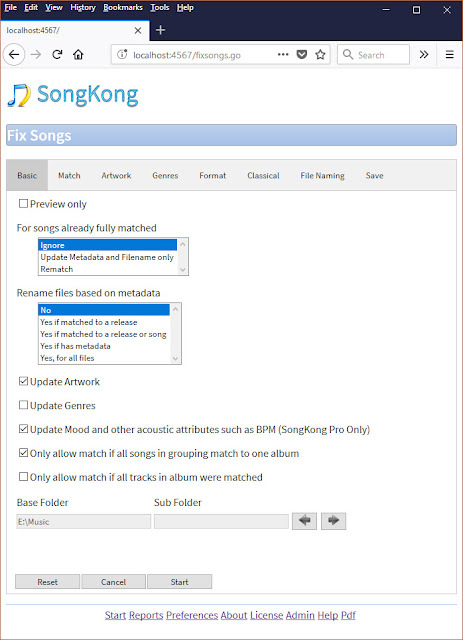 SongKong 5.1 fixes this problem, apologies for any inconvenience caused. SongKong 5.0 - now with Remote mode ! This feature means that you can now control SongKong from a remote device using a regular web-browser, and this could be another computer, iPad or even your mobile phone. 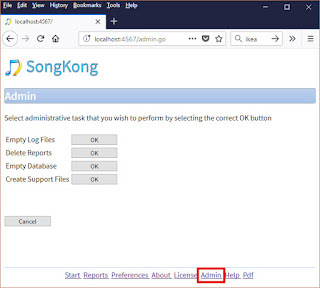 First of all this means having installed SongKong on your computer you can then use it from another location in your home, for example your computer may be in your home office but you can control from your phone in your lounge. 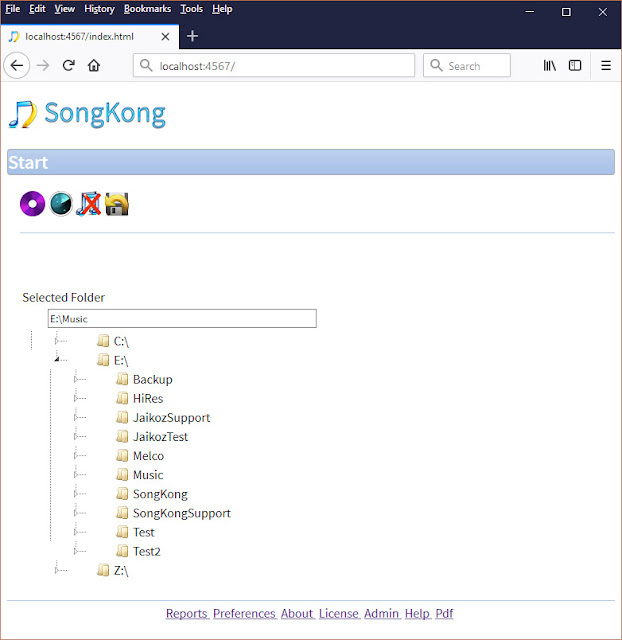 But it also means you can install and use SongKong on a computer that does not have a Graphical User Interface (GUI) such as a Linux server, and unlike the command line tool you have full access to all user options and administrative tasks such as license installation. 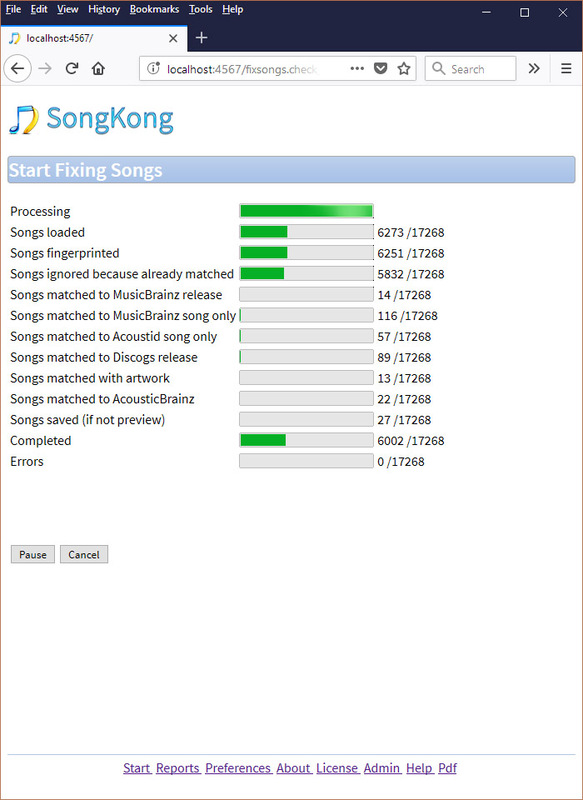 Because you can install SongKong on the same machine as your music resides on even if it has no GUI the actual file reading and modifying does not have to be done over the network meaning much faster and more reliable matching, especially with large lossless files. 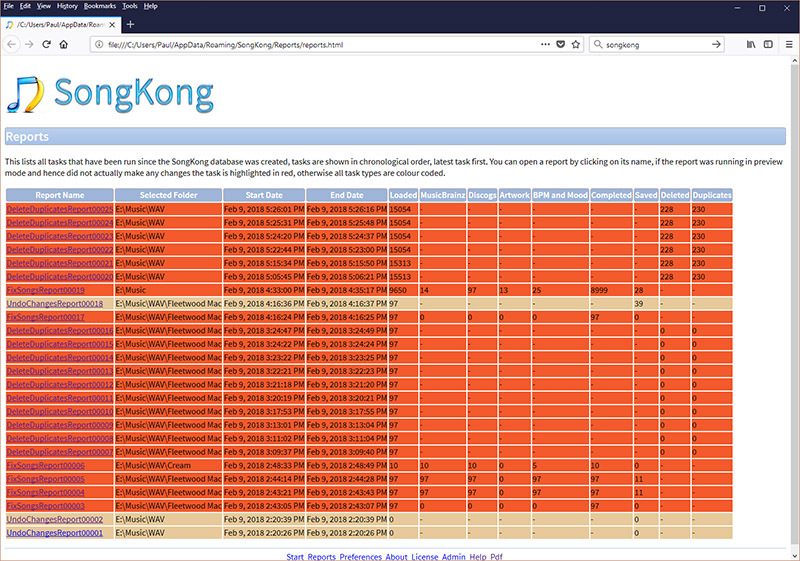 You could even make your server visible on the wider web and connect to it from the other side of the world. 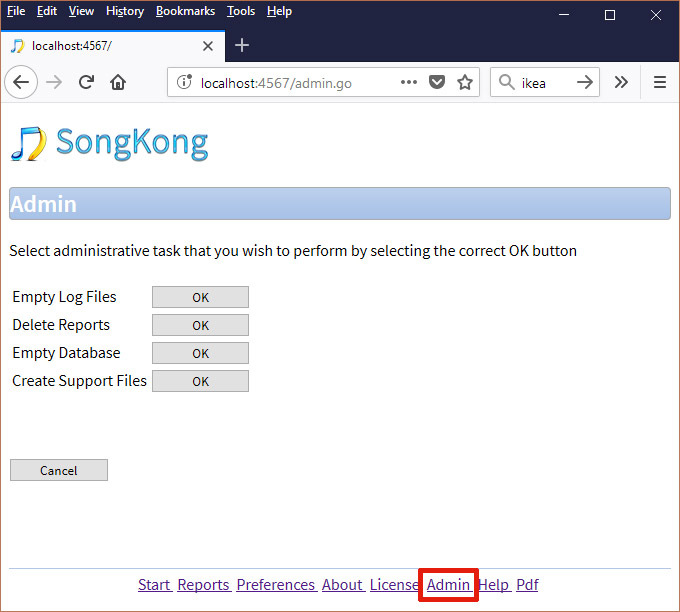 This first release is available for MacOS, Windows and Linux as usual, but we plan releases for various NAS devices such as Synology and Qnap very soon. We can now list all report tasks in reverse chronological order with some summary information, this is available in both regular desktop mode and remote mode.